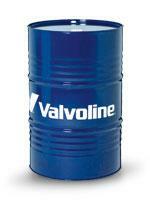 Premium quality full synthetic motor oil. Formulated for ultimate performance and protection under all operating conditions. Designed to fulfill the latest standards of leading engine manufacturers. Formulated for petrol and diesel engines of passenger cars, delivery vans, light trucks, persons minibuses, campers. For modern engines with turbochargers and catalytic converters. Suitable for extra long drain oil change intervals. Suitable for direct injected diesel engines (Volkswagen DID test).